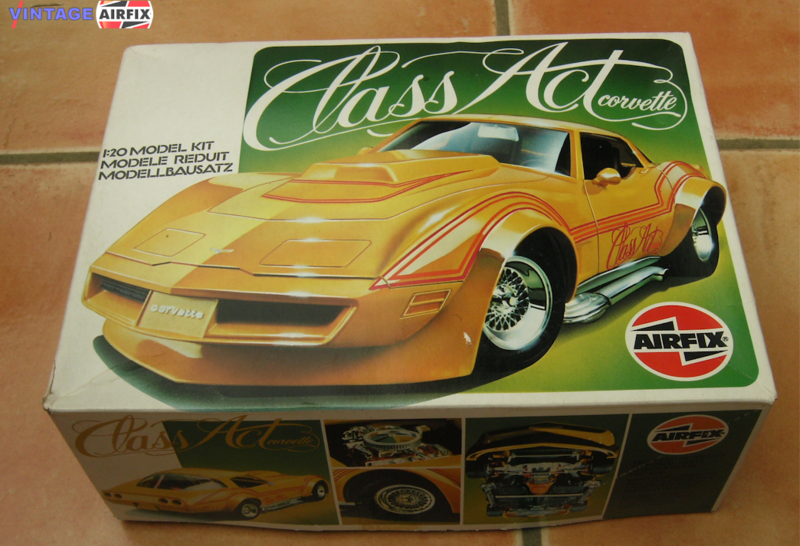 Loaded with extra details the 1/20th scale Class Acts is the brand new custom Corvette for 1982. Molded in yellow and black this sleek colourful power-house, has wide tyres on custom wheels, a big 454 V8 engine with lots of chrome custom parts and dual turbocharger set-up. Front spoiler, wide wheel arches and domed bonnet add to the road racing look.